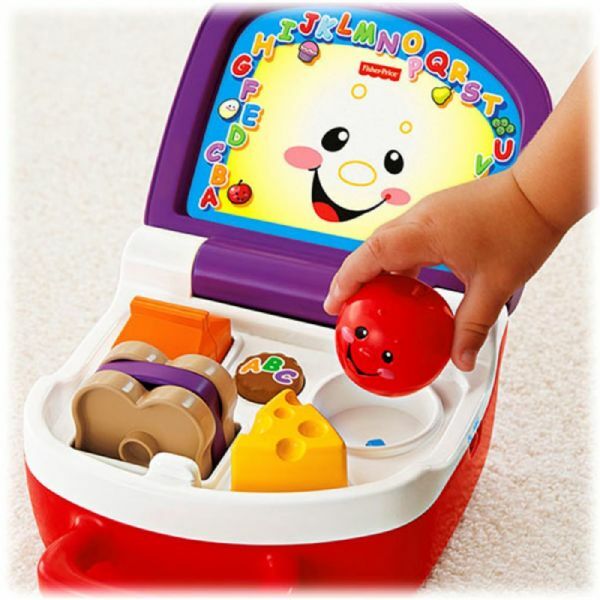 Shape sorting, stacking and learning fun - in a lunchbox that's perfect for baby. Show off the outside, decorated with an adorable Puppy & Sis lunchbox scene. 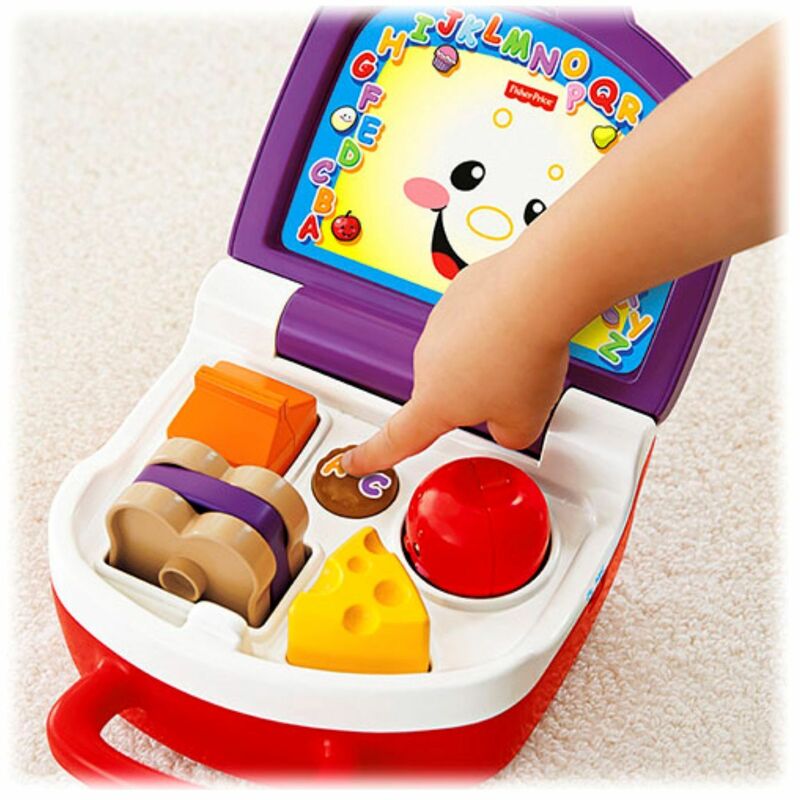 When it's time to "eat" open up the lunchbox for all sorts of fun surprises! 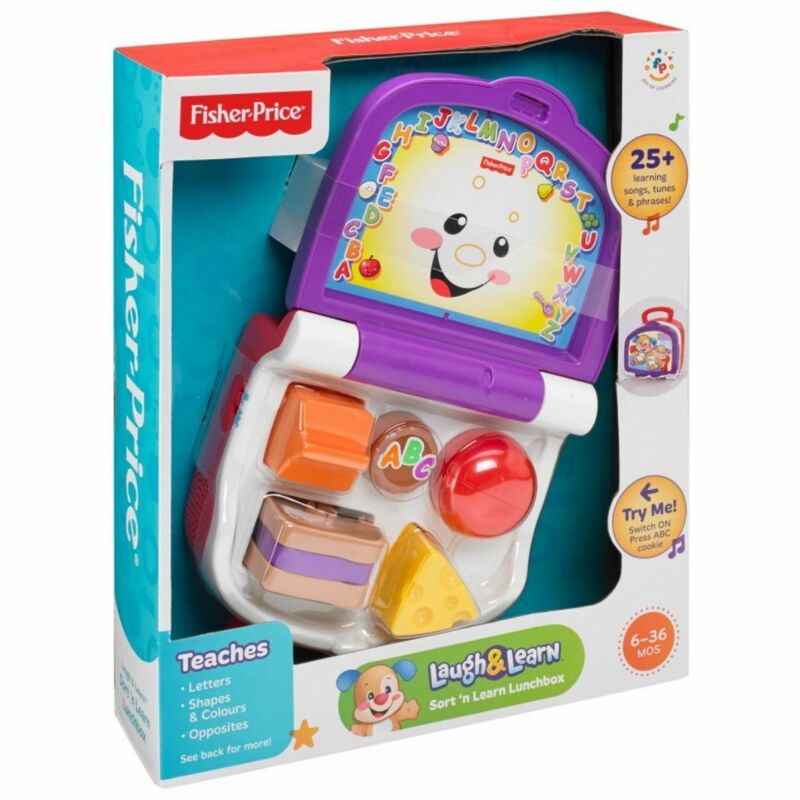 Four foods (orange juice, cheese, apple & 3-piece sandwich) encourage put-and-take play as baby grasps and matches them to their spots in the lunchbox. Press down on the ABC cookie or continue shape sorting to unlock learning content that includes more than 25 sing-along songs, tunes and phrases. Baby can stack the bread and jelly together to make a sandwich, too. 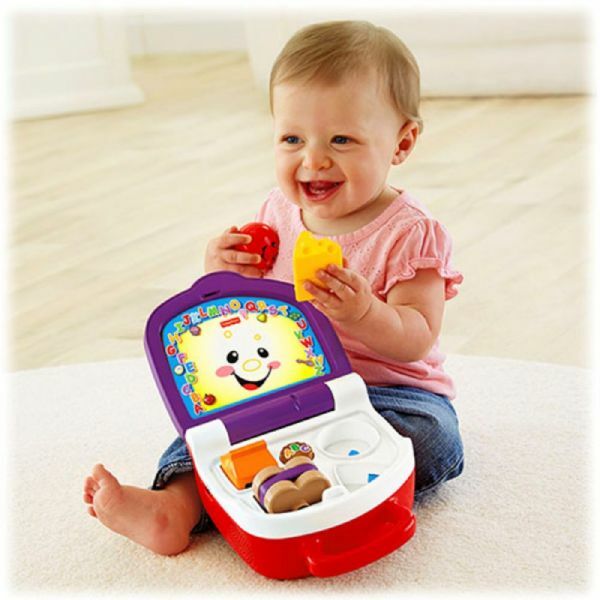 All food pieces store inside for playtime on-the-go.